and travel tips for better vacations. You'll now receive email updates regarding new blog posts. As a New York City local, one of my favorite ways to experience the city is to run around it. My preferred plan? Plot a route that ends at a great place for food, drinks or a photo-op, which keeps my motivation high! I’ve lived in New York for seven years, but the sight of Lady Liberty in the harbor still makes me feel like a tourist — in a good way! 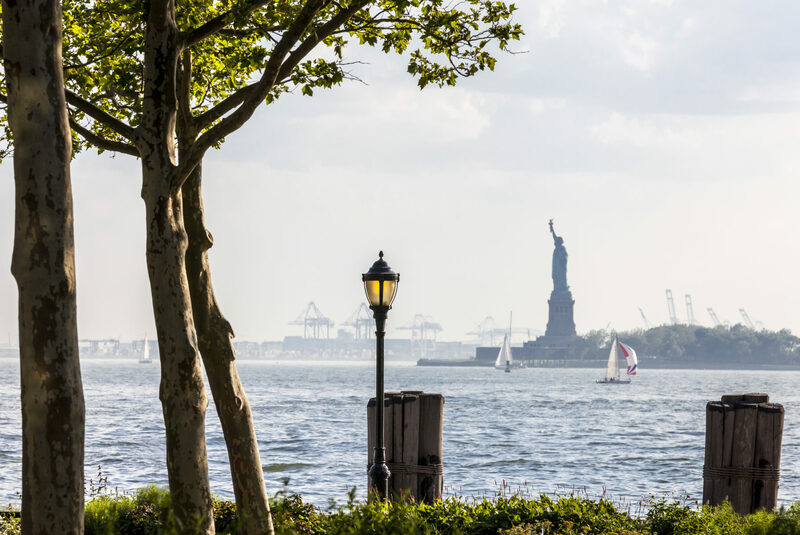 For this run, begin at the Statue of Liberty Viewpoint (located in Battery Park, on the water just across from the Statue Cruises kiosk) and don’t forget to snap a photo. Then head north along the West Side Highway. You’ll run through Battery Park, along the Esplanade and then north on the Hudson River Greenway. You’ll finish at The Frying Pan on 26th Street. This old barge-turned-bar-and-grill is a summertime institution for New Yorkers. It’s so popular, lines often stretch down the block — so time your run to arrive when the bar opens at noon. My favorite post-run treat? Crisp, white peach sangria and hot French fries sprinkled with Old Bay seasoning. No guide to running in New York is complete without at least one jog through Central Park. This particular route takes you into the quieter, northern area of the park. 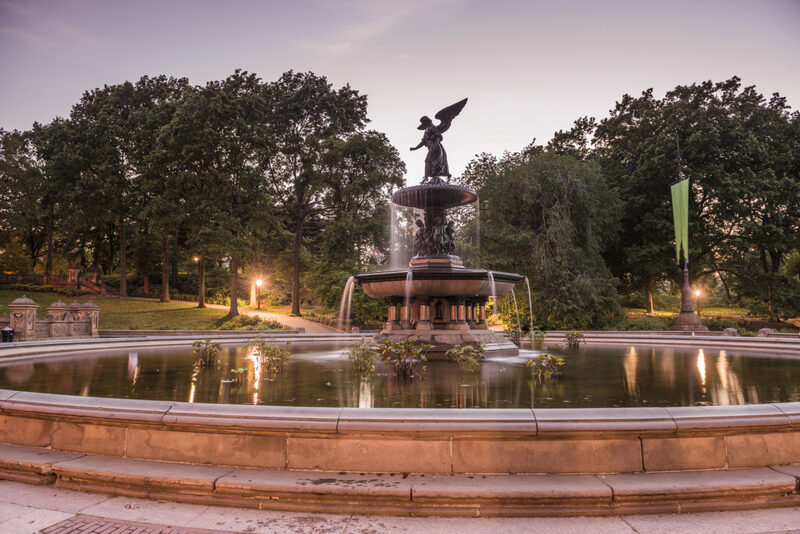 Kick off your run at Bethesda Terrace, heading east to the main drive, where you’ll veer north. As you jog past the Loeb Boathouse, wave to everyone in rowboats! After you pass The Metropolitan Museum of Art, follow the park loop all the way north to the top of the park at 110th Street. Continue to run south on the rolling hills of the west side until you get to Tavern on the Green at 66th Street. Congratulate yourself on a run well spent by treating yourself to a pretzel or a cold stein of lager. Need extra distance? 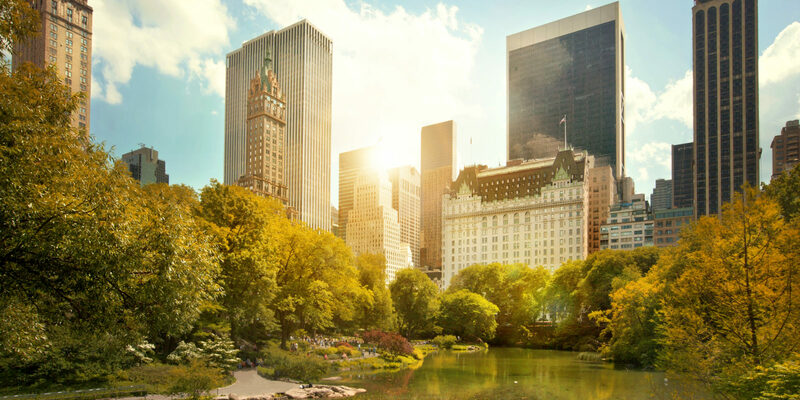 Start running from Marriott Vacation Club Pulse, New York City on 37th Street to add an extra 2.5 miles. If you’re worried about getting lost in Central Park, take note of the lampposts, which show you where you are in relation to the street grid. Each one has a four-digit number painted on its base at eye level: E9602, for example, means you’re near East 96th Street, at the second lamppost within that block. In my opinion, Riverside Park is one of the city’s most underrated greenways. Start your run on this peaceful trail near 88th Street, at the Soldiers’ and Sailors’ Monument. 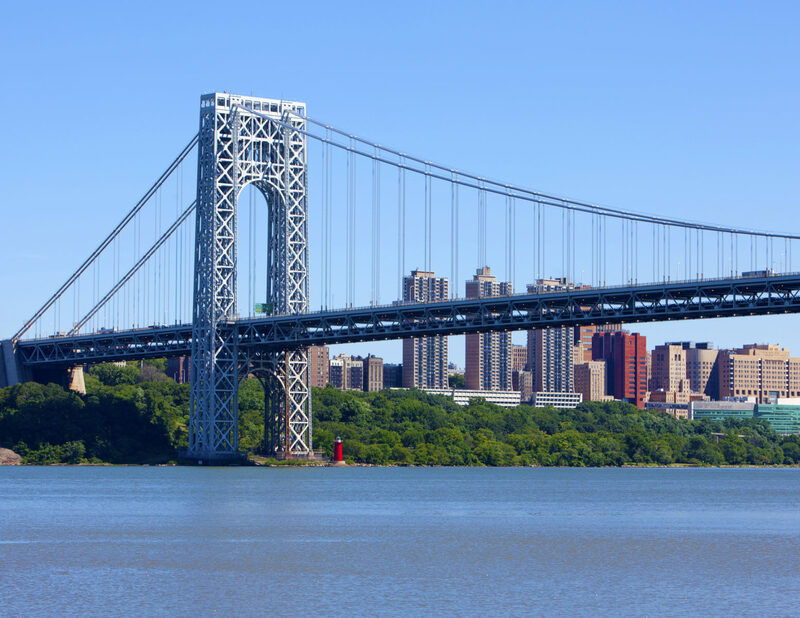 Follow the running path north to The Little Red Lighthouse beneath the George Washington Bridge. The landmark — officially named Jeffrey’s Hook Lighthouse — inspired Hildegarde H. Swift and Lynd Ward’s 1942 children’s classic, The Little Red Lighthouse and the Great Gray Bridge. After taking the requisite selfie, it’s time to refuel. Exit the park and head to Malecon on 176th Street and Broadway. This restaurant serves classic Dominican fare (mofongos, empanadas, plantains), but it’s most famous for its rotisserie chicken, which you can order as a half or a full bird. This run takes you through some of New York City’s lesser-known parks and ends with the best reward of all: beer! I like to start at Carl Schurz Park on the East River at 85th Street. 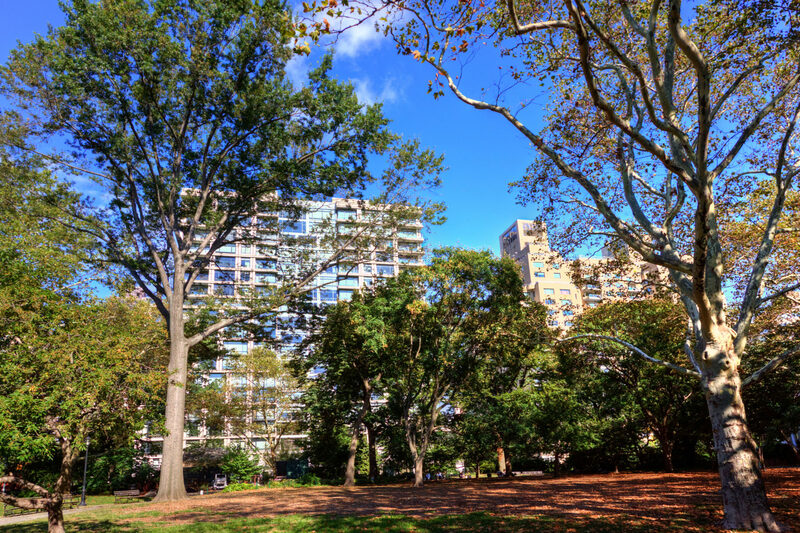 Run north on the running path past Gracie Mansion (where the mayor lives) until 102nd Street. Then cross a pedestrian bridge over to Randalls and Wards Islands. Sometimes I take a speed-walking break here, because the bridge is steep. 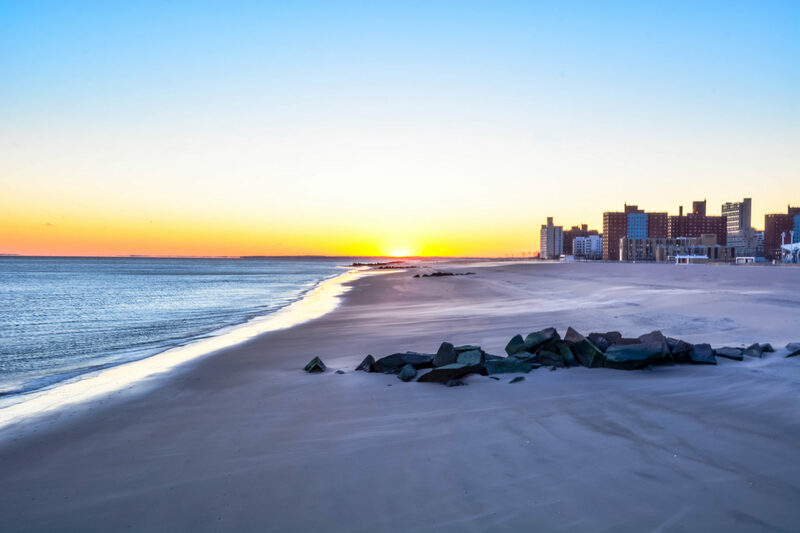 The low-key islands are home to festivals like the annual Governors Ball, and on sunny days you’ll see plenty of soccer games and families grilling out. Next, run north to cross Little Hell Gate Bridge; stay on the running trail and you’ll pass Icahn Stadium, where Usain Bolt set a world record for the 100-meter dash in 2008 — talk about inspiration! The path continues along the water to the top of the island, where the Randalls Island connector, a small footbridge, leads to the Bronx. Cross it and run north to 136th Street, where the Bronx Brewery makes its pale ales and seasonal brews. I’ve found that the mango and guava notes in the Slow Your Roll Session Ale always hit the spot post-run. Start at the southwest corner of Prospect Park (at Prospect Park Southwest and Parkside Avenue). Jog two blocks west to Ocean Parkway and run straight south until you hit the beach. Depending on your mindset, the best or worst part of this run is that the streets start at Avenue A and count all the way down to Avenue Z, where you can almost taste the salt in the air. When you hit the water, head up to the boardwalk and run toward the Cyclone, Coney Island’s infamously rickety wooden roller coaster. On hot days, I like to run into the waves to cool off, and then grab a hot dog with sauerkraut and crinkle-cut fries from Nathan’s. Whether running in a big city or on wide, open country roads, put safety first. Schedule a daytime run, and stick with a running buddy if you are unfamiliar with the area. Always run against traffic, and skip the headphones (or keep music at a low volume) so you can pay attention to your surroundings. Rose M. is a freelance writer living in New York City. Marriott Vacation Club International and the programs and products provided under the Marriott Vacation Club brand are not owned, developed, or sold by Marriott International, Inc. Marriott Vacation Club International uses the Marriott marks under license from Marriott International, Inc. and its affiliates. This is neither an offer to sell timeshare nor a solicitation to buy timeshare to residents in jurisdictions in which registration requirements have not been fulfilled, including any Member State of the European Union, and your eligibility to purchase may depend upon your residency. All requests originating in Member States of the European Union will not be carried out by Marriott Vacation Club. Visit MarriottVacationClub.eu for Marriott Vacation Club products available for purchase by residents of the European Union. © Copyright 2018, Marriott Vacation Club International. All rights reserved.